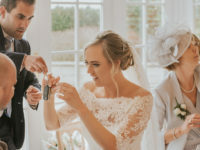 One of the most common questions we get asked is “Where can we do everything ourselves?” This is due to budget constraints but also so that people can have choice and put a personal stamp on their special day! 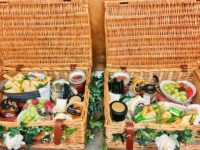 We’ve put together a list of Dorset venues, although not exhaustive, where you can bring in your own catering, bar and other suppliers to make the day your own! 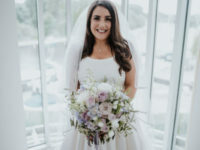 These are places where South Coast Weddings can provide On the Day Coordination, so you can enjoy the day you’ve planned without rushing around setting up and sorting everything out! 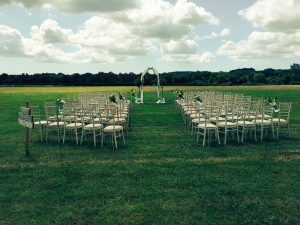 Of course, if you have your own land or are looking to hire some land and a marquee, we can point you in the right direction. Branksome Dene Room, Sandbanks – This venue is all about location as you can step right out on to the beach, making it ideal for photographs. Canford Cliffs Village Hall, Canford Cliffs, Poole – Another great location with a large hall. Charlton Down Village Hall, Dorchester – This is an amazing huge hall in a lovely building. Corfe Mullen Village Hall, Corfe Mullen, Wimborne – Perfectly placed to go from Poole Registry Office with parking. Harmans Cross Village Hall, Swanage – An adorable hall that’s not too big that’s you’ll get lost and a lovely green space outside and a park for children. 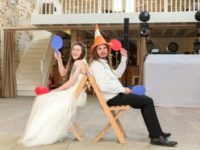 Horton & Chalbury Village Hall, Wimborne – A modern barn looking hall with everything you’ll need. Morden Village Hall, Wareham – Located between Poole and Bere Regis, this hall has a lovely big green space outside. Sopley Mill, near Christchurch – A gorgeous converted mill right on the river. 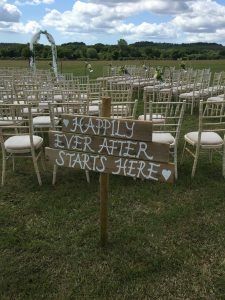 Stockbridge Farm Barn, Sherborne – A secluded rustic barn, perfect for weddings. The Orangery Suite, Wimborne – A gorgeous hidden gem with a marquee and games available in the beautiful garden. We are delighted to offer a personal consultation option. This includes us coming to you, or meeting you at a venue of your choice, talking through your wedding ideas and us giving you any relevant contact details for suitable suppliers, advice based on experience and we’ll bring some helpful bits & bobs along with us too! Essentially we will ‘brain dump’ for want of a better expression! £99 (March special offer) for up to 3 hours. If couples choose to add on additional packages afterwards, the cost will be deducted!